by Sam HendersonMake the most of opportunities before June 30 to balance out super sums between partners, writes Sam Henderson who answers your questions on super. A: Put simply, a commutation means that your pension account will need to stop and restart, therefore affecting the grandfathered Commonwealth Seniors Card (or, more widely than your case, those on the grandfathered age pension deeming rates with lower balances). Since there are no upper limits (there is a minimum only) of pension payments, it’s best to make your withdrawal in the form of pension payment to ensure existing grandfathered scenarios remain unaffected. As a general rule, I typically make lump sum withdrawals for clients as pension payments for the sake of simplicity and to maintain any grandfathered provisions. With respect to making a non-concessional contribution in your wife’s name, you may be able to contribute up to $540,000 into her super fund by June 30 if she hasn’t triggered the bring-forward rule. If she’s over 65, though, she will be limited to $180,000 a year and only if she meets the work test of working 40 hours in 30 consecutive days in the financial year in which the contribution occurs. Next year, of course, all these amounts will be markedly reduced so the next half of this financial year will be a big one for super funds to maximise their opportunities. A: Peter, my understanding is that after July 1, 2017, if your balance exceeds $1.6 million then you will not be permitted to make further non-concessional contributions. People with less than $1.6 million in their fund will be able to make non-concessional contributions up to their $1.6 million cap of $100,000 per annum or up to $300,000 using the bring-forward rule. If you do make further non-concessional contributions, you will be issued with a direction from the ATO to remove the money from your superannuation fund. A: Frank, the government plans to make this one easy for you by compelling you to comply with the apportionment rule. If you have an existing retirement pension (account-based pension), then you will not be given any other alternative other than using an apportionment process to calculate your $400,000 over and above the proposed $1.6 million cap. That said, you will be able to cash the funds out of the superannuation environment and for some people, this may be a viable alternative. Just remember, though, outside of the super entity, you will need to pay the regular individual marginal tax rates and potentially capital gains tax. It’s the latter that concerns me. 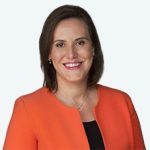 I mentioned last week that I am curious as to how the government will be able to apply the rules to those with multiple superannuation funds and if the apportionment rule can practically be applied given potentially two different trustees (such as when a person has an SMSF and an industry fund). For example, if we rolled your $400,000 excess amount into an industry fund and invested it into direct shares with franking credits, we could potentially eliminate the income tax by segregating the accounts which won’t be possible if all the funds are in one account. So too, we may see an emergence for higher-net-worth clients having two SMSFs for this reason, ignoring any potential impact on the Commonwealth Senior Health Card or any other grandfathered provisions under Centrelink. You see, you don’t need to meet a work test to do a rollover into another fund and you can do partial rollovers (potentially in-specie) depending on where you’re rolling your fund to or from although, as mentioned, you’d want to check the grandfathering if you have a health card. Advice is definitely recommended to those in this situation. On 10 November 2016 the Senate referred the provisions of the Superannuation (Excess Transfer Balance Tax) Imposition Bill 2016 and the Treasury Laws Amendment (Fair and Sustainable Superannuation) Bill 2016 to the Senate Economics Legislation Committee for inquiry and report. I am writing to invite you to make a submission to this inquiry. The Committee is due to report to the Senate by 23 November 2016. Given the short time frame for inquiry and report, the Committee would like to receive submissions by 17 November 2016. The Committee is seeking written submissions from interested individuals and organisations preferably in electronic form submitted online or sent by email to economics.sen@aph.gov.au as an attached Adobe PDF or MS Word format document. The email must include full postal address and contact details. E-mailed submissions should include your name, phone number and postal address (in the email, not the submission) so that we can verify them and/or contact you. Submissions are confidential until the Committee releases them. You must not release your submission until the Committee advises that it has accepted and released it. Submissions that are accepted are protected by parliamentary privilege but the unauthorised release of them is not. The Committee will normally make submissions public unless there is a request for confidentiality. If you would like a submission or part of it to be kept confidential please say so clearly in the submission. The Committee will sympathetically consider requests for confidentiality, but cannot make promises in advance. If you have concerns about confidentiality I encourage you to call me to discuss this before lodging the submission. Notes on making submissions are available from the website. The Committee secretariat can also help: phone (02) 6277 3540 or email economics.sen@aph.gov.au. More information about this Committee is available at www.aph.gov.au/senate_economics. Written submissions can address one or both bills in whole or in part. The Superannuation (Excess Transfer Balance Tax) Imposition Bill 2016 proposes to impose a tax on the notional earnings of capital moved into a retirement phase superannuation account that is in excess of the $1.6 million transfer balance cap. From 1 July 2017, any notional earning of the excess capital would be taxed at a rate of 15 per cent. Schedule 1 to the TLA Bill imposes a $1.6 million cap (the transfer balance cap) on the amount of capital that can be transferred to the tax free earnings retirement phase of superannuation. the threshold at which high‑income earners pay Division 293 tax on their concessionally taxed contributions to superannuation, to $250,000 (from $300,000). Schedule 3 to the TLA Bill reduces the annual non‑concessional contributions cap from $180,000 to $100,000 (or $300,000 every three years). Schedule 4 to the TLA Bill amends the Superannuation (Government Co‑contribution for Low Income Earners) Act 2003 to enable eligible low income (less than $37,000) earners to receive the low income superannuation tax offset. Schedule 5 to the TLA Bill removes the requirement in the income tax law that an individual must earn less than 10 per cent of their income from their employment related activities to be able to deduct a personal contribution to superannuation and make it a concessional contribution. Schedule 6 to the TLA Bill introduces provisions to allow catch‑up concessional contributions. This will allow individuals with a total superannuation balance of less than $500,000 to make additional concessional superannuation contributions in a financial year by utilising unused concessional contribution cap amounts from up to five previous financial years. Schedule 7 to the TLA Bill amends the tax law to encourage individuals to make superannuation contributions for their low income spouses. This is achieved by increasing the amount of income an individual’s spouse can earn before the individual ceases to be entitled to a tax offset for making superannuation contributions on behalf of their spouse. Schedule 8 to the TLA Bill will extend the tax exemption on earnings in the retirement phase to products such as deferred lifetime annuities and group self-annuitisation products. Schedule 9 to the TLA Bill removes the income tax deduction which allows superannuation funds to claim a tax deduction for a portion of the death benefits paid to eligible dependants. Part 1 of Schedule 10 to the TLA Bill 2016 amends the tax law to simplify and consolidate the range of existing processes for the release of amounts from individuals’ superannuation using a release authority. individuals to notify the Commissioner in any circumstance when their superannuation benefits from such interests first become payable. Part 3 of Schedule 10 to the TLA Bill 2016 clarifies that the Commissioner can provide a single notice that includes two or more separate notices that are required to be provided. Part 4 of Schedule 10 to the TLA Bill makes consequential amendments to the Superannuation Act 1976 that sets out the rules that govern the Commonwealth Superannuation Scheme (CSS) in relation to release authorities issued by the Commissioner. The amendments take account of changes made by other parts of the Superannuation Reform Package. We look forward to receiving your views on this important issue. I wrote today to Messrs Gee and Buchholz in their roles as leaders of the Coalition Backbench Committee on Economics and Finance to convey a copy of my submission of 16 September to Treasury on the first tranche of Government superannuation measures. You will see I am critical of the process of consultation, the apparent separation of the new super tax expenditure measures from the tax increases on super, the Government’s proposed objective for its superannuation policy, and the content of some of the new expenditure measures. My criticisms draw on the four articles by the Centre for Independent Studies which I forwarded with my earlier correspondence with you. An interested citizen may wonder: what is the reason for such a rushed consultation process for the subset of new super measures that are revenue ‘give-aways’, when all the closely related Bills to raise taxes on self-funded retirees and reduce the super savings opportunities of those nearing retirement are still weeks, if not months away? To illustrate how far Australian super lawmaking processes have degenerated to the cost of confidence in super, contrast the current exercise with the planning for and consultation around the last major change of strategic direction in Australian super law, the Costello Super Simplification exercise of 2006 and 2007. [ii] A substantial discussion paper was issued with the May 2006 Budget announcement of the measures, with an extended consultation over four months until September 2006. [iii] There was keen interest to comment: more than 1,500 written submissions and more than 3,500 phone calls from across the community. Modest revisions to the original ideas were incorporated into revised costing for the forward estimates period and incorporated into legislation introduced by end 2006, with effect from 1 July 2007. It is wrong to separate consultation on the Budget super measures into a first tranche of $2.8 billion in revenue give-aways over the forward estimate period and a later tranche of yet-to-be-finalised tax increases of some $6 billion. Both sets of measures are built on similar, highly contested assertions about the purpose, fairness, cost and effectiveness of super concessions. Logically, they ought be considered together, in both consultation and Parliamentary processes. It would be economically irresponsible if the Government were to seek to legislate sequentially a first tranche of give-aways followed by a second tranche of tax increases. If, for example, some of the $2.8 billion in new concessions proved on examination to be poor quality and unlikely to meet its stated objectives, that should affect the consideration of the $6 billion in super tax increases that in part pay for the new concessions. One possible outcome of separate tranches is that the give-aways might be passed with populist cross-bench support despite Labor’s announced rejection of most of them[iv], and the tax increases postponed or rejected, further damaging the budget. Alternatively, the tax increases could also be passed at a second stage (or further increased as Labor proposes[v]) with Labor and Green support. The only clear message to super savers from these uncertainties is that superannuation law making has become chaotic and untrustworthy. The Government should guarantee that all the Bills implementing the Budget’s super measures will be introduced to Parliament simultaneously as a package. Not only should the new concessions and the increased taxes be considered together, they should all be subject to public examination by Parliamentary Committee, with the Committee calling on submissions and evidence from the public. This would help overcome weaknesses in the derisively short consultation processes concluding today. With this maladroit statement, the Government has turned its back on insights that have been clear since at least 1942[vii], and were applied through 30 years of super reforms during the Hawke-Keating[viii] and Howard-Costello years[ix]. The Explanatory material to Superannuation (Objective) Bill 2016 and Treasury Laws Amendment (Fair and Sustainable Superannuation) Bill 2016 adds five subsidiary objectives (most rather abstract) to the primary objective in the Superannuation (Objective) Bill, with all six to be subject to unspecified, case-by-case ‘balancing’. This destroys any coherent guidance for policy, so again the message to super savers is that anything could happen to the taxation of their life savings. The Treasurer nonetheless asserts that the primary objective has “guided the development of the Government’s reforms”. [x] But as if to prove the uselessness of the government’s proposed ‘primary plus five other’ objectives, it is striking that the two draft Bills and the two draft Regulations in the first tranche do not themselves include illustrative statements showing the compatibility of their measures with the primary objective of the legislation (or any of the other five, for that matter) as would become compulsory if the Superannuation (Objective) Bill became law. If the Government believes its stated objectives have any meaning, it should use them to provide clear and quantified illustrations of the estimated effects of its legislative proposals on self-sufficiency in retirement and numbers on the age pension. Critics of existing super concessions currently dominate public debate with false claims that the costs of present incentives are excessive, unsustainable and unfair. (Robert Carling’s paper for the Centre of Independent Studies explains why these claims are overblown, with many of the estimates “unfit for purpose”. )[xii] Against the backdrop of these criticisms, any proposals to create additional incentives costing $2.8 billion over the forward estimates must clear a high hurdle by demonstrating their cost effectiveness measured against any stated objective of government policy. For an example of complexity defeating any intended beneficial impact, the Low Income Superannuation Tax Offset offers a non-refundable tax offset of up to $500 to the super fund of a low income saver with adjusted taxable income less than $37,000 and who has had a concessional super contribution made on their behalf. To the practically-minded, this $1.6 billion give-away poses three questions: how much, if anything, can someone earning under $40,000 a year afford to lock away in superannuation? How many of us could say what our ‘adjusted taxable income’ was, in terms of superannuation law? And what incentive to the low paid to save from very modest income for up to 40 years before they can access it is offered by a non-refundable tax offset to their super fund of up to $500? Another illustration in Explanatory Statement to Exposure Draft: Treasury Laws Amendment (Fair and Sustainable Superannuation) Regulation 2016 also highlights both the trust problem and the witlessness of those who write these illustrations. “Ed is aged 67 and retired in July 2017.” He has $250,000 in his superannuation fund, and after downsizing to a smaller home, has $150,000 to invest. Under one of the Government’s new give-aways costing $130 million, he is said to add the $150,000 to his super fund. (The treatments of super balances under the income and assets tests for the age pension are complex, but it may well be that the main effect of downsizing his house and adding $150,000 to Ed’s super balance would be to greatly reduce the part aged pension he may be eligible for.) After watching the super policy circus of the last 18 months in which three political parties competed to re-write the superannuation rule book to the disadvantage of self-funded retirees, why would Ed decrease investment in his principal residence and increase his exposure to super rule changes? Ed needs a good financial adviser. Some measures seek to induce additional super contributions from those on low incomes, or into the super accounts of low income spouses. Possible beneficiaries from these measures fall into three categories: those who will have low income over their lifetimes; those who are lower income earners in high income households; and those who are low income at the start of their careers, but who will be richer later. It is obvious why super funds, surely one of Australia’s worst examples of crony capitalism, want to use bogus ‘feminist’ arguments to harness taxpayers’ funds multiply the number of super accounts with low balances and high fees. It is not clear why the Government should legislate to implement the social engineering implicit in such attempted equalization of spouses’ super balances. Finally, for those who are temporarily low income at the start of their careers, there is no case for the Government trying to front-load their lifetime savings profile away from the savers’ own preferences. Better the Government facilitate those preferences by not excessively restricting higher super savings later in life through miserly restrictions on concessional and non-concessional contributions. This is another example of the interconnection between the first tranche measures and the super tax increases of the second tranche which necessitates their joint consideration. There are much better ways than the first tranche measures to improve the lifetime welfare and savings of lower income earners, such as illustrated in papers for the CIS by Simon Cowan (cited above) and Michael Potter[xvi]. A sensible selection from and development of those ideas would improve self-sufficiency and thrift, improve superannuation outcomes, improve retirement living standards, and improve budget outcomes. The Government should go back to the drawing board on its Budget measures. There was no extension of the consultation period to allow for the later provision of this last pair of drafts. “In a time of budget pressures, the Government should be closing unsustainably generous high-income loopholes in superannuation; not opening new ones. – Allow tax deductions for personal superannuation contributions. [v] Bill Shorten Address above, “We will not tie the $500,000 lifetime contribution cap back to 2007. Instead, our changes will apply from Budget night. This means Australians who have invested for their retirement in good faith based on clear rules, no matter how generous, will not be punished after the fact. [vi] I owe this analogy to John Roskam (cited below) and Rebecca Weiser and Henry Ergas, Strangling the goose with the golden egg: why we need to cut superannuation taxes on Middle Australia , September 2016, IPA Research Essay, http://ipa.org.au/publications/2545/strangling-the-goose-with-the-golden-egg . While 80% of age-eligible people receive some age pension, and only about 20% of those of workforce age receive government income support, the analogy still holds: no one thinks a citizen should be indifferent between being unemployed and receiving welfare. “The great vice of democracy – a vice which is exacting a bitter retribution from it at this moment – is that for a generation we have been busy getting ourselves on to the list of beneficiaries and removing ourselves from the list of contributors, as if somewhere there was somebody else’s wealth and somebody else’s effort on which we could thrive. …. “Now, have we realised and recognised these things, or is most of our policy designed to discourage or penalise thrift, to encourage dependence on the State, to bring about a dull equality on a fantastic idea that all men are equal in mind and needs and deserts: to level down by taking the mountains out of the landscape, to weigh men according to their political organisations and power – as votes and not as human beings? ….. I wrote yesterday to Messrs Gee and Buchholz in their roles as leaders of the Coalition Backbench Committee on Economics and Finance to convey four recent studies on superannuation and retirement income policy to be published by the Centre for Independent Studies in the forthcoming edition of its magazine, Policy. I hope the studies will be helpful to consideration of the Budget superannuation measures. I also conveyed my impressions of some important developments since the four studies were finalised. I undertook to circulate the studies and my letter to other Government members, and do so today as attachments to this letter. As someone who has contacted me in relation to the Government’s superannuation reforms, I thought you may be interested in an announcement that the Treasurer and I made this week regarding modifications to the superannuation reform package to make it fairer, more flexible and sustainable. First, can I thank you for your feedback on the policy. It has been very helpful to receive constructive input from local members of my community. The revised package will provide greater support for Australians investing in their superannuation with the primary objective of providing an income in their retirement. Specifically, the $500,000 lifetime non-concessional cap will be replaced by a new measure to reduce the existing annual non-concessional contributions cap from $180,000 per year to $100,000 per year from 1 July 2017. Individuals will continue to be able to ‘bring forward’ three years’ worth of non-concessional contributions. Individuals with a superannuation balance of more than $1.6 million will no longer be eligible to make non-concessional (after tax) contributions from 1 July 2017. By limiting eligibility to make non-concessional contributions to those with less than $1.6 million in superannuation, it targets tax concessions at those who have an aspiration to maximise their superannuation balance and reach the transfer balance cap of $1.6 million. Eligible small business owners will continue to be able to access an additional CGT cap of up to $1.415 million. In order to fully offset the cost of reverting to a reduced annual non-concessional cap, the Government will not proceed with a change to contribution rules for those aged 65 to 74. The Government will instead keep the current arrangements that allow people to contribute to their superannuation up 75 years if they are working. This will encourage individuals to remain engaged in the workforce, which will benefit the economy more generally. While the Government remains supportive of the increased flexibility this measure, it can no longer be supported as part of this package, given the changes to non-concessional contributions. From 1 July 2018 flexibility will be improved by allowing the ‘catch up’ of unused portions of concessional contributions on a rolling five year basis for individuals with balances under $500,000. This will help people with broken work patterns. For further information I attach a copy of the Media Release, Press Conference and Fact Sheets on the Government’s superannuation changes. Again, I very much appreciate the feedback that you provided on the Government’s policy and look forward to staying in touch. I am writing to you in your capacities as leaders of the Coalition Backbench Committee on Economics and Finance, tasked (according to recent media reports) with reviewing the Government’s Budget proposals to change the taxation treatment of various aspects of superannuation. To assist your Committee in its work, I wish to draw your attention to four recent studies bearing on the superannuation changes and the broader challenge of retirement income policy reform. The studies are to form part of the forthcoming edition of the Centre for Independent Studies’ quarterly magazine, Policy. They are attached to this letter for your convenience, and have been released electronically on the Centre’s website (https://www.cis.org.au/commentary/articles/four-solutions-to-the-big-problems-with-superannuation-policy ). I am the author of the first of the four studies, which I hope might clarify from the last 40 years of history why so many super savers feel betrayed by the Government’s Budget measures; unconvinced by the alleged need for them; and unpersuaded by the Prime Minister’s and Treasurer’s attempted defence of them. Moreover, they fear that if retrospective measures are approved, more will follow in the unprincipled political competition to raise revenue from super savers that was revealed over the election campaign. Previous significant increases in super tax have been designed to gradually raise revenue over time, but were grandfathered to avoid reducing the living standards of those already retired and living on lifetime savings legally amassed under the previous rules. Similarly, those near retirement (usually, those over 50 years of age, as a rule of thumb) have traditionally been spared the adverse impact on their lifetime savings of tax increases that they were too close to retirement age to adjust to. These traditional practices conform to the grandfathering principles codified in 1975 by the Asprey review of taxation, and successfully applied to tax increases in the 40 years since. In contrast, the Turnbull/Morrison measures take the opposite approach, instantly penalizing those who trusted in, and acted on, the deliberate, well-researched incentives of the previous law. Grandfathering super tax increases – Terrence O’Brien: The Government’s tax increases would do less damage to trust in super if they were grandfathered, as has been done over at least the last 40 years for other changes adverse to those already retired or near retirement. How should super be taxed? – Robert Carling: The common claims that super tax concessions are very expensive are wrong, and claims that their cost is unfairly distributed are based on an indefensibly narrow, one-dimensional conception of fairness. Building a better super system – Simon Cowan: The main problem with the super tax concessions is that they are not reducing reliance on the age pension as much as they could do if better designed. Don’t increase the super guarantee – Michael Potter: Scheduled increases in the SG from 9.5% to 12% would worsen the budget outcome for many years (because they move income from relatively highly taxed to lower taxed forms); bear inequitably on women and the low-paid; expose households more to the risk of adverse regulatory change; and reduce pre-retirement welfare of the less-well off without much improving their post-retirement income or reducing their dependence on the age pension. On my reading of the studies, an implicit message emerging across all four is that reforming Australia’s retirement income system will require future well-researched, well-explained, gradual changes that can only be successful if governments retain the trust of the retired and those near retirement. In my view, the largest cost of the Budget measures to raise tax on super is that, for want of grandfathering, they have destroyed trust in superannuation law-making in a way that will severely damage future prospects of better-considered retirement income reforms to superannuation, the age pension and their important interactions. To be clear: the Budget measures are not about stopping egregious tax avoidance (such as was done through retrospective measures deployed in the 1970s against contrived ‘bottom of the harbour’ schemes); rather, they attack law abiding savers who responded as previous governments wished to the intended purpose of well-deliberated incentives passed into law. They have merely lawfully saved enough money to retire on, after properly paying tax on it in the contributions and accumulation phase. This hardly warrants an attack on their living standards near or after retirement. I was concerned to read media reports that the Coalition’s focus in reviewing the measures is mainly on the proposed $500,000 lifetime cap on non-concessional contributions to super. Protest against that measure rightly focusses on its retrospectivity, narrowly defined. But as I argue in the first study above, all the Government Budget measures are “effectively retrospective”, in the useful phrase coined by Treasurer Morrison in his address of 18 February 2016. The measures all serve to invalidate retirement decisions and late-career savings plans for self-funded retirement by imposing disadvantageous new rules or tax rates where irrevocable decisions and plans have been induced by, and legally based on, previous rules. Equally worrying, the reported adjustments being considered to the $500,000 cap are mainly increases to the cap, which misses the central problem: retrospectivity itself, rather the amount to which the retrospective cap is applied. A higher cap backdated the same way is still retrospective and still destroys everybody’s confidence in law-making for super saving. The four CIS studies were completed shortly after the election. Two subsequent developments should be very worrying to the Coalition, and to all concerned to maintain confidence in superannuation, limit growth in reliance on the age pension, and improve or at least maintain the efficiency with which scarce capital is allocated in the Australian economy. Such a dramatic decline after normal growth in previous quarters is easily understood: the Greens and Labor have been promising significantly to increase tax on super since March and April 2015, respectively. The Liberals proposed in effect tripling the Labor tax increases in the 3 May 2016 Budget, providing cover for Labor to triple its original tax grab. So super savers and self-funded retirees knew by May that their retirement living standards from super savings were sure to decline whatever the election result in early July, and through chaotic policy processes likely to lead to further tax raids in future. So they commenced rebalancing their lifetime savings away from super in the June quarter 2016. I suspect the current quarter’s data, capturing a full three months of savers’ reaction to the new super landscape and the election outcome, will confirm and extend the adjustment apparent in the last quarter. Labor’s first policy announcement in April 2015 was promised to be its last. Its second policy change in June 2016 (tripling its tax grab) was promised to be its last for five years. Labor’s third but doubtless not final change of 24 August 2016 proposes both higher taxes on contributions to super, plus the desirable elimination of the government’s $3 billion in new but largely forgotten and unloved increases in tax expenditures on super. Essentially, this bargaining approach promises Labor’s support to the Coalition, conditional on the Coalition eliminating all ‘winners’ from its Budget measures, and further increasing the tax burden on those aspiring to be self-funded retirees. I anticipate there will be a further late twist to Labor’s support for the Coalition’s tax increases on self-funded retirement. After Labor has ensured all ‘winners’ from new tax expenditures have been eliminated and all losers multiplied to maximize the damage to Coalition support, its emphasis will turn to its historical championing of grandfathering (such as in the Keating-Hawke reforms of 1983 and 1988 described in my study). It will support the Coalition’s tax increases, but only conditional on the Government accepting Labor’s ideas on grandfathering. This will deny the Coalition the revenue from the tax increases in the forward estimates period that encompasses the life of the current Parliament. Why might the trends and possible resolutions above matter (apart from permanently destroying big swathes of voter support among super savers of the 40-60 and 60-80 generations)? Funds not contributed into super will be used somewhere else: spent, or saved or invested in other ways. Looking to the absolute numbers behind the percentage declines shown in the table above, nearly $1 billion that was flowing into super funds in the June quarter 2015 was flowing somewhere else in the June quarter 2016. Treasury assumes in its revenue estimates for the Budget measures that those alternative destinations will be more highly taxed than superannuation, but that seems unrealistic to me. More likely, the long-term savings previously destined for super will now mostly flow to the only other forms of long-term saving not heavily penalised by the progressive taxation of nominal income: negatively-geared rental property, and the principal residence. The latter option has the considerable additional advantage of being outside the age pension means test. For those formerly planning to be self-funded in retirement, rearranging their affairs to preserve access to the pension offers three advantages that super-funded retirement lacks: it removes longevity risk (the risk that savers will outlive their savings); it is safe from current and prospective very high market risk of zero or low returns (because pensions are indexed); and it is safer than super (for the moment) from regulation risk – for example, that tomorrow’s governments might restrict negative gearing, or reduce capital gains or pension asset test protection for the principal residence. For the Australian economy, the costs of these likely reallocations of long-term savings from super into one form or another of property investment ought be obvious: instead of super savings being allocated through reasonably efficient capital markets to finance diversified productive assets such as infrastructure investment, equities, or corporate or government bonds, they will instead increase the demand for property. The supply of property is restricted and prices are inflated by restrictions on land release and other obstructive regulations. Much of any revenue from increased demand for real estate will accrue to State and Territory governments. Real estate may not be able to be confiscated by the Commonwealth in the way lifetime superannuation savings can be, but the potential of such property investments to support increased future national living standards is much lower than from the mix of productive investments financed through superannuation. The corollary of the adjustments hypothesized above is of course increased future reliance on the aged pension – a real fiscal sustainability threat, unlike the bogus sustainability threat often asserted to arise from the well-researched and carefully implemented Costello Simplified Super reforms of 2006-2007. In effect, every dollar the Government’s measures discourage from going into super will morph to some degree into an increase in the future cost of the age pension. Compared to the seriously adverse consequences of the Budget measures for the economy and for confidence in super, the fiscal impact is small and easily made good. As noted in my study, grandfathering will of course delay the buildup of revenue from tax increases, because (depending on details of design) the increases would only apply to those some distance from retirement, and with time to adjust their savings strategies to the new tax regime. That is a fair adjustment of tax parameters that change lifetime savings strategies, in the tradition of previous tax increases on super savings in retirement, such as those implemented in 1983 by the Hawke-Keating government. For reasons noted above, I doubt the Budget measures would raise anything like the revenue forecast. But let’s accept for argument’s sake that $6 billion over the period to 2019-2020 is the notional target for the urgent priority of fiscal consolidation. I need hardly argue to Coalition members that a better strategy to sustainably improve the budget with improvement to the efficiency with which resources are used is to reduce government spending. Based on a calculation by Mikayla Novak, the required expenditure reduction to make good the revenue forgone by grandfathering the superannuation tax increases would be a cut in the expenditure of each government department of about two-fifths of one percent. (Departments usually live with efficiency dividends of 1-2%, and sometimes as high as 4%.) Can it seriously be argued that any voter would even notice the difference in government services from a 0.4% loading on the efficiency dividend? In conclusion, I suggest the Coalition should go back to the drawing board on its super tax increases. If it feels it must persist with them, it should comprehensively grandfather them, as was done by the Hawke-Keating Government with its super tax increases of the 1980s. Better that the course of good superannuation policy rule-making be embraced by the Coalition than that it be forced on it by Labor. Should it be helpful to you or your Committee, I am of course happy to speak with you on the themes of this note. I am unaware of the membership of your Committee, and so have copied this letter to all Government members. Declaration of interest: I am a retired public servant who worked for some 40 years in the Commonwealth Treasury, the Office of National Assessments, the Productivity Commission, and at the OECD and the World Bank. I receive a superannuation pension from a fund I joined at age 19. My pension would be more heavily taxed by one of the changes proposed by both Liberal and Labor.